“We court no favour and fear no foe, scientific or otherwise. All we ask is careful attention and practical investigation; we have no fear as to the logical conclusion which shall be arrived at. ** Disclaimer ** : We have personally reviewed all the material being presented on this site and approve of it’s content.This does not mean however that we endorse all of the teachings and doctrines of each individual presenter. Our endorsement stops at the posted content of this site. The subject of this web page is the flat earth. Many have looked into it with original sceptism seeking to prove it wrong and the globe earth correct although what is happening is when people research the subject with an open mind and just let the facts speak for themselves they quickly come to the inevitable conclusion that we do in reality live on a level/flat immovable earth. This is without doubt the single biggest expose of truth that has been (re) discovered in the last 500 years. At the very beginning of the whole globe earth thing a guy called Eratosthenes first tried to get the theory of heliocentrism (sun centered universe) to float. It didn’t. Then some time later a guy called Copernicus re-introduced the theory of heliocentrism, and the Jesuit Vatican pushed the Copernican model. It is important to understand that one of the reasons Rome pushed it, other than to counter Martin Luther’s Reformation, was due to the history of the Knights Templar, Rome’s military order, who picked up a bunch of not so Biblical beliefs in Kabbalah (Israel), Eastern Gnostic Mysticism (India), and magik (Egypt – book of the dead) along their journeys. The descendants of the Templars are another military order attached to Rome and that is The Jesuit Order. In fact they are the man behind the curtain. Having already been influenced by the occult influence of Gnosticism and the mysteries religion the Jesuits were only too happy to put the sun in the middle of everything, being sun worshipers themselves. So, the theory of heliocentrism got traction. This opened the door for infinite space and the possibility of alien life, and that gave birth to Charles Darwin’s (Freemason) theory of evolution, but for it all to get a firm hold a guy named Isaac Newton (Freemason) showed up with yet another theory, the theory of gravity. Newton spent pages upon pages of convoluted equations to try to prove his theory, but fell flat. Not wanting to let a dead horse lie, yet another guy was brought into the picture, a theoretical Freemason physicist by the name of Albert Einstein and his job was to come up with a mathematical way of proving what Newton, Copernicus, and Rome had already committed to, so a complicated, far reaching supplementary theory was required and Einstein came up with just the thing, the theory of relativity. So in the end game of the last 500 years what we ended up with was a theory that required another theory that gave birth to a theory that was supported by yet another theory to be conclusively “proven” by a theory, and at no stage along the way has any concrete proof ever been offered, not so much as an iota of hard scientific method empirical evidence to support any of these cockamamie theories.Yet the world accepts them as fact. Fact is there is no globe earth. There is no gravity. There is no evolution.There are no extraterrestrial aliens. What there is is a level plane earth that is immovable and stationary, and that hard empirical scientific method evidence proves beyond the shadow of doubt as you will see in the following presentations. 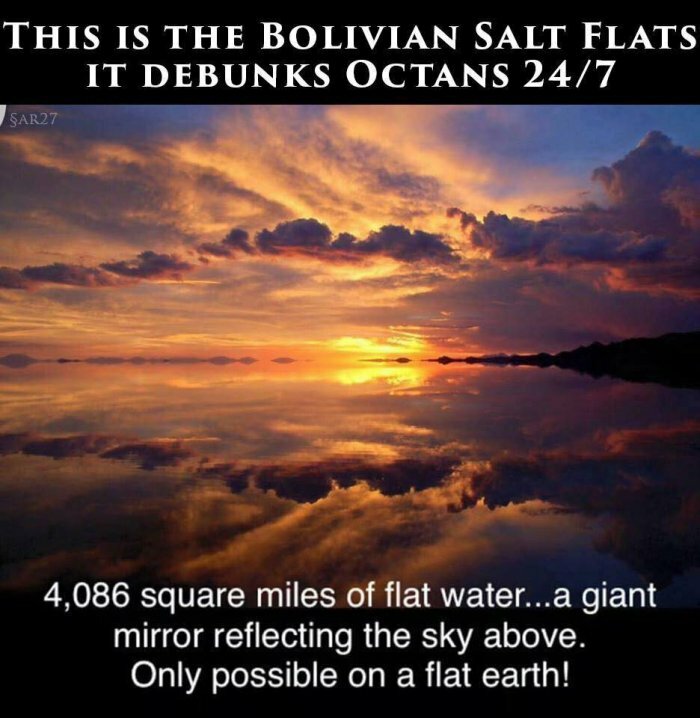 – FE Facebook Posts is a collection of Flat Earth inspirations, lessons, observations, rants and hypotheses posted to Facebook by us over the last 2 years. Below are sections of research and study by a variety of authors showing many details of scientific method evidence supporting the flat (level) earth. 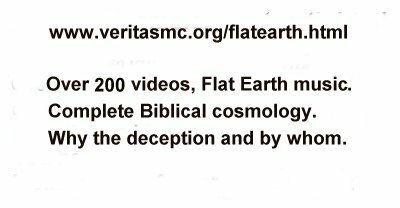 That the earth is flat was the common belief in all parts of the known world prior to the theory of heliocentrism (approx 500 years ago) and was still a hot topic well into the 50’s (see the downloads section). It was not until a person by the name of Copernicus, a Jesuit trained astronomer, came along that the concept of a heliocentric universe was popularized. Heliocentricity is, and has always been, only a theory based on no observable facts or the means of verification of evidence supporting the theory. It is not a coincidense that a disproportionate amount of Jesuits are astronomers and “star gazers” to this day. The “big bang” theory is the brain child of a Jesuit named Georges Henri Joseph Édouard Lemaître. Rome is on record as supporting this and the theory of evolution as well, even claiming that evolution is the only way God could have created everything. Rome also supports the concept of extraterrestial life. All of this is against what the Bible teaches. See below for the history of the Jesuit Order. Shahzwar Bugti videos: Flat Earth in 12 easy to follow scrolling text videos. PROOF of a Close Sun Night & Day at the same time! The Sun does not set. *He Found Us… (Julia) * Flat Earth is a Catalyst * FE Is A Cancer ? Videos by Eric Dubay: empirical flat earth.We do not endorse Eric’s spiritual position. The Bible fully supports the flat earth from cover to cover (see Study Aids above). Bible believing Christians are left with no other option but to break out of the heliocentric lie that has been holding a grip on us for our whole lives. 2Cor 10:3-4 – tells us to tear down false strongholds.The Bible is not ambiguous, it is crystal clear. Now we would like to go to the simplest proof that we are not living on a globe/ball/sphere, and that irrefutable proof is found in simple mathematics. It is an established fact that equator is 25,000 miles in circumference. That gives us the math with which to figure out the amount of measurable curvature we should be witnessing while living on a globe of that dimension. The math is 8″ to the mile SQUARED (not square mile), meaning that for the first mile, regardless of direction from the observer, the curvature drop should be at 8″, and every mile after that is multiplied by itself and then by the base of 8″. Example: 3miles gives you 3×3 = 9 x 8″ = 72″/12 and you get 6 feet. At a distance of 3 miles you should be able to measure a curvature drop of 6 feet regardless of the direction you are looking in, be it straight out or to the sides. If the math gives no curve = no sphere/ ball/ globe. The beach is 8 miles (13Km) long, so you should get a curvature drop of 42.67 feet from one end to the other. (full size) Now look at the horizon – it is perfectly flat for several miles. No curvature at all. It is the same in the bottom photo of the same beach, and you can see that the horizon covers many miles. Where is the curvature ? There is none, ergo it is, according to modern mathematics, impossible that we are on a sphere with a circumference of 25K miles. The following material traces the history of Freemasonry and the Jesuits. Masonic Origins, History of the Jesuits, It’s the Jesuits! 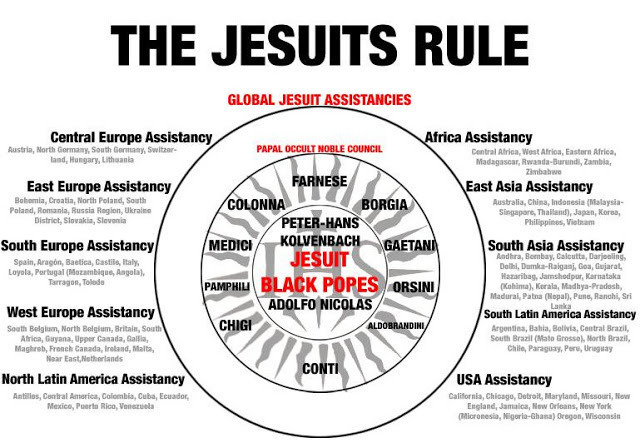 These orient the reader as to what extreme these blood oaths are taken.Note that in the world Jesuit heirarchy there are 10 administrative zones called “assistancies”. It is largely spoken of in Christian circles that the United Nations plays a heavy role in the last world government of the beast of Revelation & elsewhere (7 heads, 10 horns ect) however it is not made clear how this could be. The UN has EXACTLY the identical “vision” as that of Rome in the push for unification of all religions as one under the banner of “peace” with one head. This will lead to the abolition of the UN as we know it and it’s being replaced with the 10 administrative zones of the Jesuit heirarchy or a massive restructuring of the UN that will leave only the security council of 10 visible members while the 10 Jesuit “assistancies” govern from behind the curtain where they have been all along. 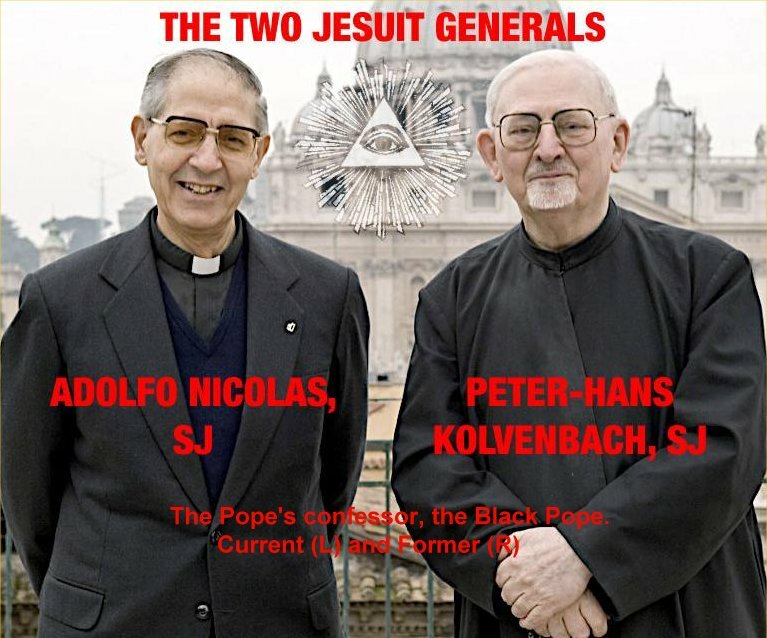 Walter Veith videos: The Jesuits – The occult rulers behind the curtain. 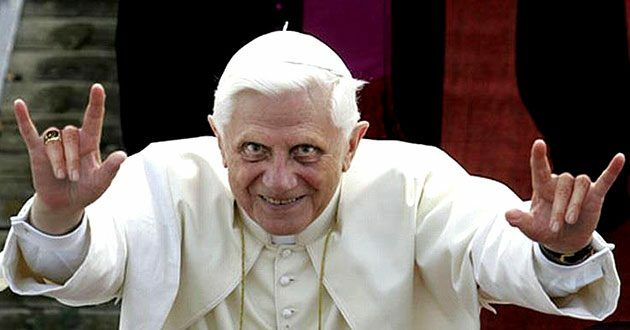 Pope Francis Declares Lucifer As God Pope Calls Jesus and the Bible a LIE! In the above videos it is clear how much the Vatican has not changed in centuries, and how it could easily embark upon a new inquisition with barbarity and cruelty at the hands of papal representatives as it was in the days of Martin Luther where Rome slaughtered thousands of Christians. Could this be what the Great Tribulation will be, a renaissance of the Inquisition to do away with fundamentalists of all faiths, mainly Bible believing Christians, all under the guise of bringing a unified “peace”? Rome has done it before, and their position of control has not waivered one iota since. 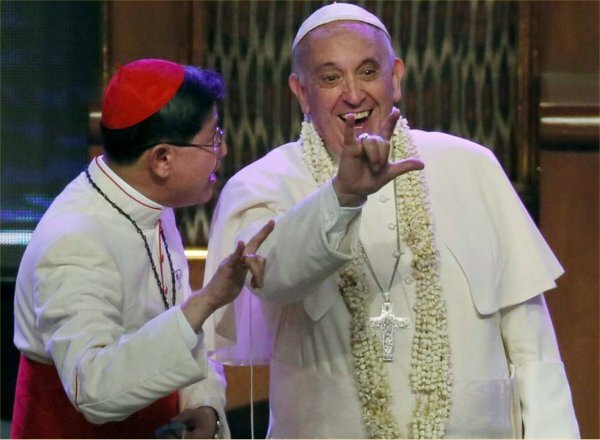 As part of their blood oath we see that that is what the Jesuit agenda has in store in order to usher in their goal of total occultism in the time of Tribulation after having put the world to sleep through a false aura of “peace”. FE truth music It’s Flat ! NASA, Why Are You Lying? 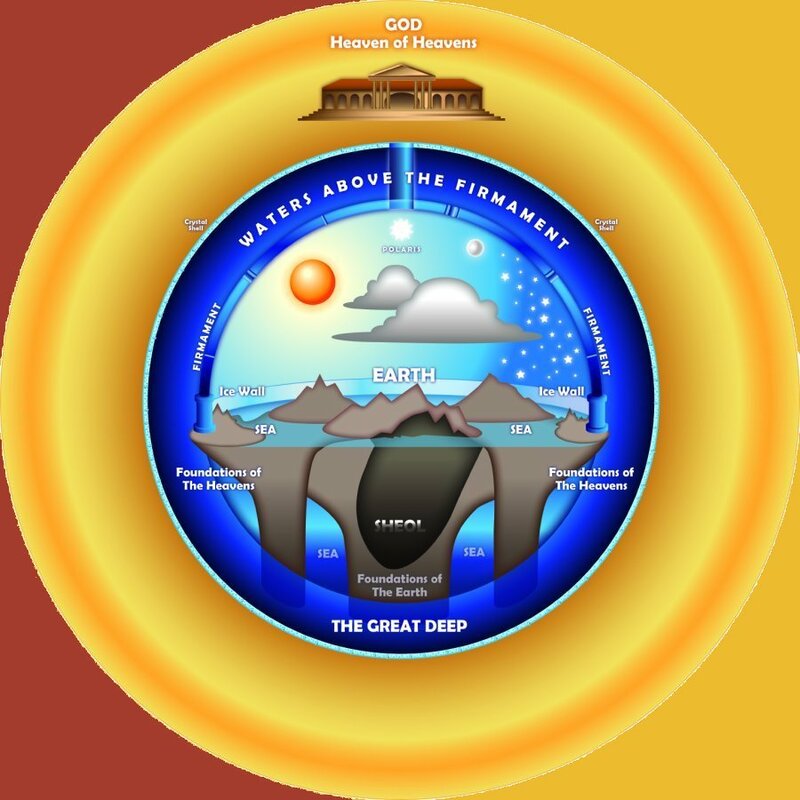 The above image is modeled after the “Hebrew Concept of the Universe” that we had modified to more acurately depict what the Bible says. (see FE Bible verses in Study Aids) . And that leads us to the next part of understanding Creation and to be able to situate/place all of this in a context that is easy to understand. Some time ago we wrote an article called The Eternal Now, which was some time before the flat earth resurgence was revealed to us which put the pieces of the puzzle together for it all to make perfect sense and leaves no ambiguity. The life we live is governed by two undeniable facts; we have The Past and The Future, but what is missing is The Present. There is no such thing as The Present in our life for as soon as something *IS* it is instantaneously relegated to The Past. The Present (eternity) is where God lives, it is a place that is void of The Past and The Future. Eternity has no time, it simply IS. “And God said unto Moses, I AM THAT I AM: and he said, Thus shalt thou say unto the children of Israel, I AM hath sent me unto you.” – Exo 3:14 God spoke to Moses in The Present tense. Jesus used the same tense when adressing the Pharisees:”Jesus said unto them, Verily, verily, I say unto you, Before Abraham was, I am.”- John 8:58 These statements transcend time, which is why the Pharisees just didn’t “get it”. 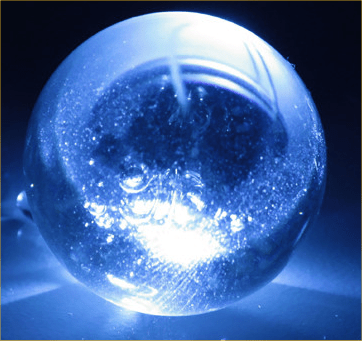 The enclosed crystal ball inside which He has placed the flat earth with it’s domed structure is where time exists with it’s limits. It is our contension that there is, however, one element of The Present that does exist in our time and that element is the sun. According to the book of Enoch (see Study Aids) the sun is comprised of air, water and fire, and we believe that the type of fire in the sun is the same as the living fire that surrounds the throne of God as described in the book of Enoch and elsewhere in the Bible (see below). That is why the sun has never waned or dimmed in the thousands of years that it has existed, it is made of living fire. Time, by it’s very definition is limited, it had a beginning and will have an end. It will eventually run out and the Bible clearly agrees with this; “And sware by him that liveth for ever and ever, who created heaven, and the things that therein are, and the earth, and the things that therein are, and the sea, and the things which are therein, THAT THERE SHOULD BE TIME NO LONGER” – Revelations 10:6. And in reading Revelation we understand that at the moment that time ceases the heavens will roll away as a scroll (Reveltaion 6:14, Isaiah 34:4) and The Present will come crashing into our existance at the battle of Armageddon piting spiritual bodies against carnal ones. This is the big lie: that we live on a globe earth spinning around a sun as a part of trillions of suns in trillions of galaxies and we are of complete insignificance being but a speck of dust in a “universe” that was created from nothing in a big bang explosion that is ever expanding. Modern astronomy states that the heliocentric earth is spinning at 1,000 miles an hour on itself while being wisked around the sun at 67,000 miles an hour and the sun is spinning around the milky way galaxie at over 500,000 miles an hour while the galaxie is moving at several million miles an hour through an ever expanding universe. That is the modern version of reality that has been promoted for the last 500 years based upon nothing but a series of convoluted theories with not one iota of empirical proof to back it up. Now while all this movement in different directions is going on at breakneck speeds it remains curious how the star patterns haven’t changed in thousands of years. Heliocentricity is an unproven sun worship theory, supported by nothing but lies and fabrications that cannot be verified. 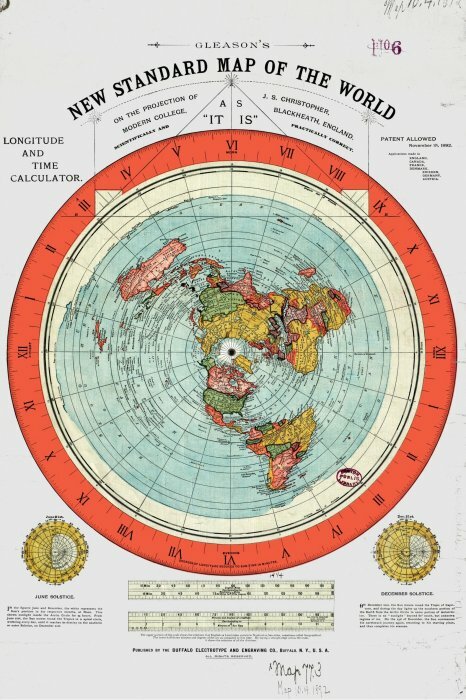 Below is the Gleason Map of the flat earth dated (by library stamp) to 1892. It is a top view, and what is described in Isaiah 40:22. It is commonly called “the flat earth map”. Notice that on all the world’s most important logos the flat earth map is the design used and that they are to a one surrounded by a laurel wreath crown. The laurel wreath crown represents the power of Rome. It is putting the ruling Ceasars in plain sight – Rome and The Jesuit Order; the men in black behind the curtain who control it all. It is not that the truth is not known, it is that the truth has been intentionally hidden from the masses in order to control them, and keep them away from God. Flat Earth is the death of: the heliocentric solar system, evolution, dinosaurs, multiple galaxies, alien species, space travel and everything associated with it (Freemason NASA,JAXSA,astronomical societies,Jesuit university space/astronomy programs, ect). We are instructed in Scripture to “prove all things” (1 Thes 5:21). Some have interpreted this to mean that we have to go out and physically find physical evidence of all things before accepting them as true. That is NOT the context that the Bible speaks of; by “prove” Scripture is saying to “test” or (bind -Strong’s #1366) all things to see if they pass muster for what is true and what is not, and the test/binding spoken of is to measure all things up against what the Bible says, and if it is in agreement with Scripture it is therefore true, but if it is in disaccord with Scripture then it is false. The standard for truth is the Bible, not some man made standard made to promote a man made agenda, “God forbid: yea, let God be true, but every man a liar;”-Rom 3:4. Jesuit Freemason Science has been hard at work to discredit God and His Word, to the point that many so called believers now doubt what the Bible says in favour of what Science says when it should be exactly the other way around. Science is the one that must prove itself, not the Bible. 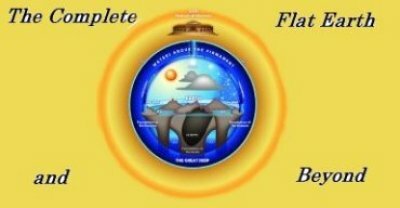 Flat Earth Disclosure: Early Flat Earth PDF book and pamphlet downloads. We are now making available our Flat Earth courtesy card. You will need a way to unzip the file (7-Zip, Winzip, ect). The download includes a readme file explaining how to use the files in a step by step operation that will allow you to have a method of distributing the FE message far and wide. Front and back of the card. The Complete Flat Earth and Beyond Resource Center, Aplanetruth.info and SERGEANT MAJOR’S TRUTHER INFO Facebook group are the top 3 sources on our plane realm. I was about to say ‘planet’ as old habits die hard. Servais Millette, Jamie Lee and Donald J. Potts have brought forward the best material for all to view. I will be floored if there exists a 4th that belongs in this league of 3.